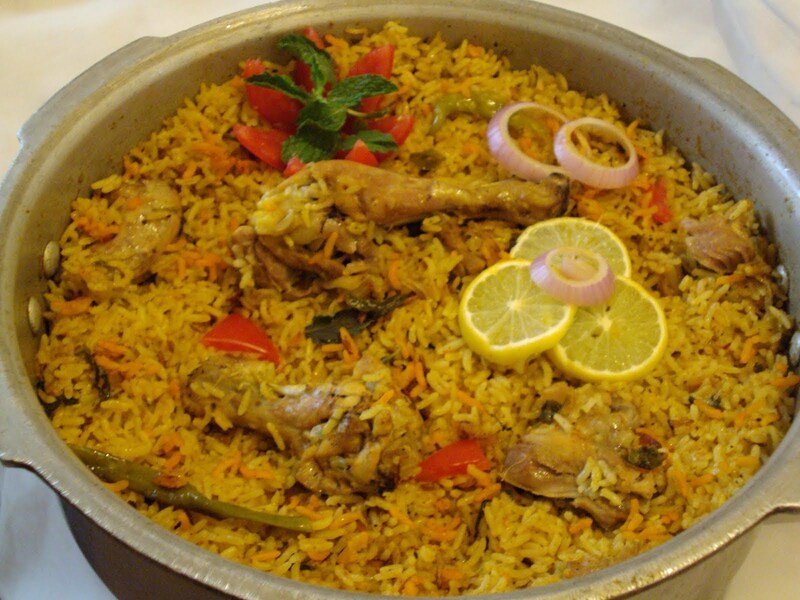 The origin of briyani is uncertain. In North India, it is traditionally associated with the Mughlai cuisine of Delhi and the Awadhi cuisine of Lucknow ; in South India, it is traditionally associated with the Hyderabadi cuisine. Wash & drain the water from chicken pieces, and add ginger garlic paste, chilli powder, salt, turmeric powder and add ¼ cup of curd mix well then allow marinating for half an hour. 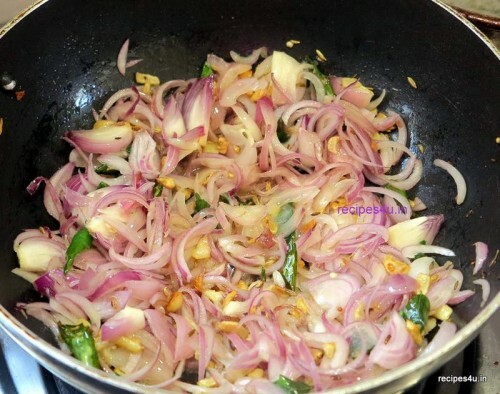 Heat oil and Vanashpathy in a cooker put the whole Garam Masala (bay leaf, cinnamon, cardamom, cloves)and fennel seeds when its splutter add sliced onion and green chilly sauté till golden brown. Then add ginger garlic paste and sliced tomato sauté fry until fragrant. Then add turmeric, chilly powders and salt sauté for few seconds, then add beaten curd mix well, once oil will occurring then put marinated chicken pieces and cook till half done. Then pour 750 gms of water then add washed rice and mix nicely, finally add chopped coriander & mint leaves and ghee stir nicely close the lid, allow to 1 whistle and 5mins in simmer. When all the steam has escaped, open Pressure Cooker and mix the rice gently. Serve hot with Raita and Bagara baingan or Ennai Kathirikkai.